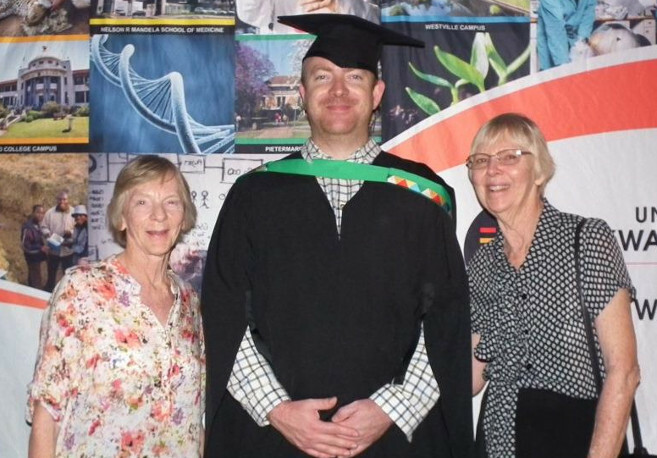 Mr Riaan Fourie was the proud recipient of a Master’s degree in Mechanical Engineering – Mechatronic at the University of KwaZulu-Natal’s Graduation. Fourie plans to continue to grow in his career and would like to become a professional engineer. ‘I would consider studying towards a PhD if I had the opportunity to pursue my studies full-time,’ said Fourie. He described his journey in pursuing his masters as ‘very challenging.’ ‘I completed my master’s part-time whilst working. Over weekends I designed, built and wrote up my dissertation. At times it was exhausting but there was some degree of satisfaction to see things completed,’ said Fourie. His research focused on the mechanical design of a prosthetic hand. ‘I used mainly computer-aided design to integrate the components of a mechanical and mechatronic prosthetic hand starting with a prototype to final design,’ said Fourie. In his spare time, Fourie enjoys reading a book, being outdoors and exercising.